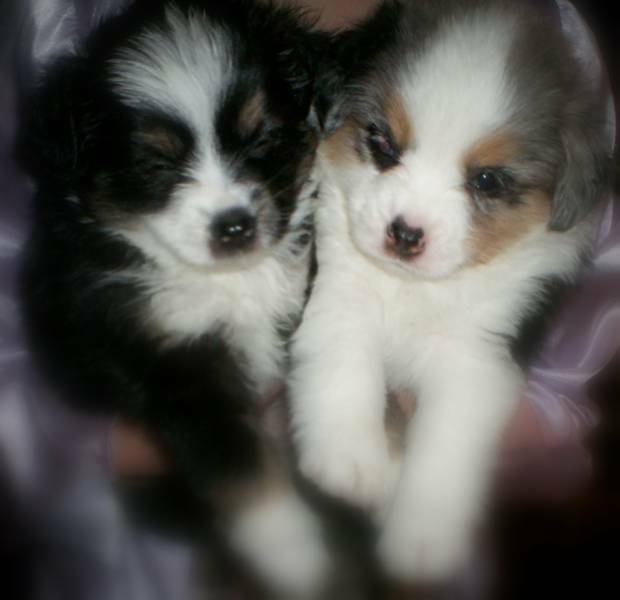 Miniature Australian Shepherds - Oregon based Mini Aussie Breeder produces beautifully colored Tri, Blue & Red Merle toy puppies We breed Pet, breed and show quality Mini Aussie for sale. We are located on a lovely farm in the beautiful Pacific Northwest, about 40 minutes from Portland, Oregon, and only 3 hours from the greater Seattle, Olympia/Tacoma area. We sell our pups locally as well as ship all over the country to locations such as Los Angeles, San Francisco, Denver, Philadelphia etc. 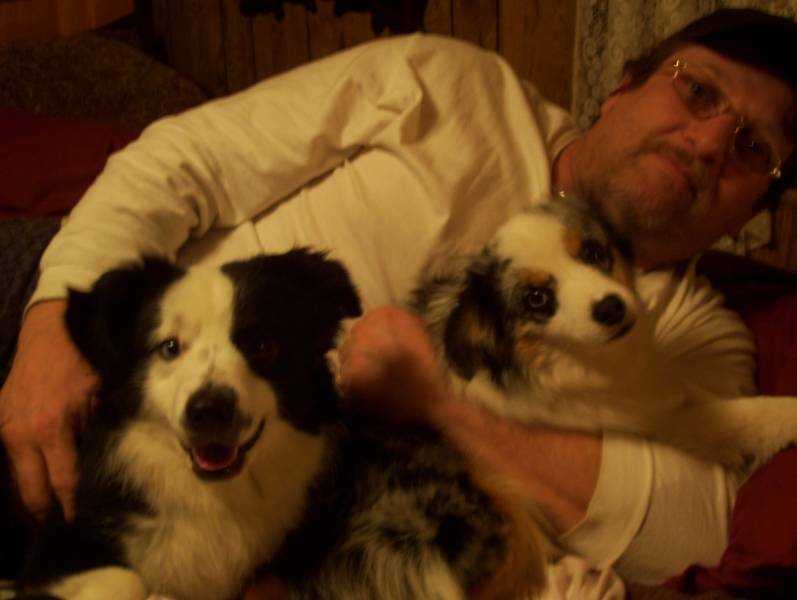 Our family just fell in love with the miniature and toy Australian Shepherds so after much thought and searching, we acquired our two wonderful girls. These little ones have brought so much love and joy to our lives. 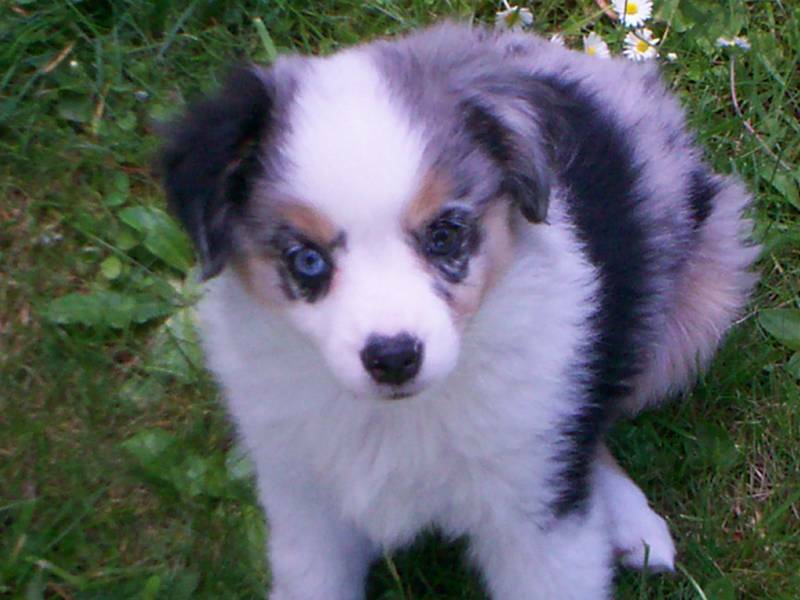 We know that the Australian Shepherd would bring unconditional love to your life as well! These little compact companions are good city or country dogs. They don't require a lot of maintaince nor special care and give years of sweet, loving companionship to their owners. In an effort to enhance the breed, we have instituted a breeding program to produce show quality dogs by breeding only the best. 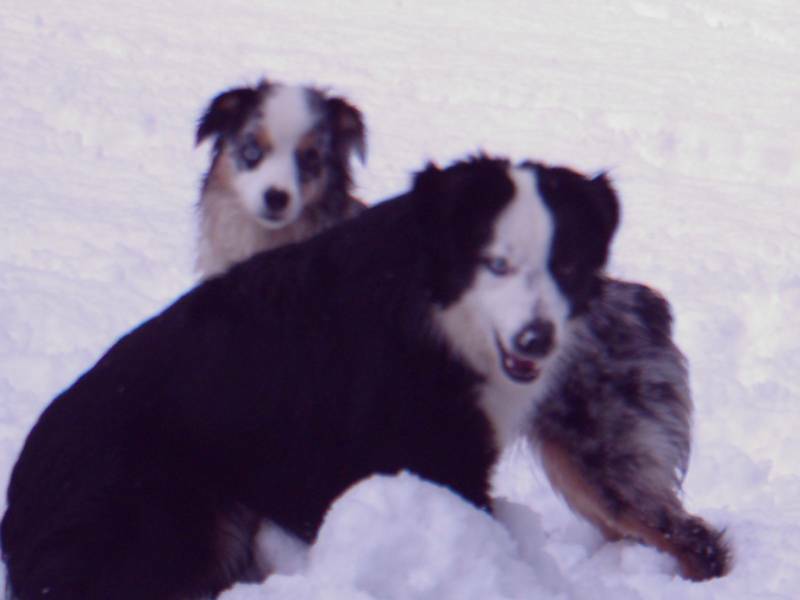 Yet, we also strive to get wonderful, loving personalities so that the pups from Hilltop Aussies, will be your life long companions. 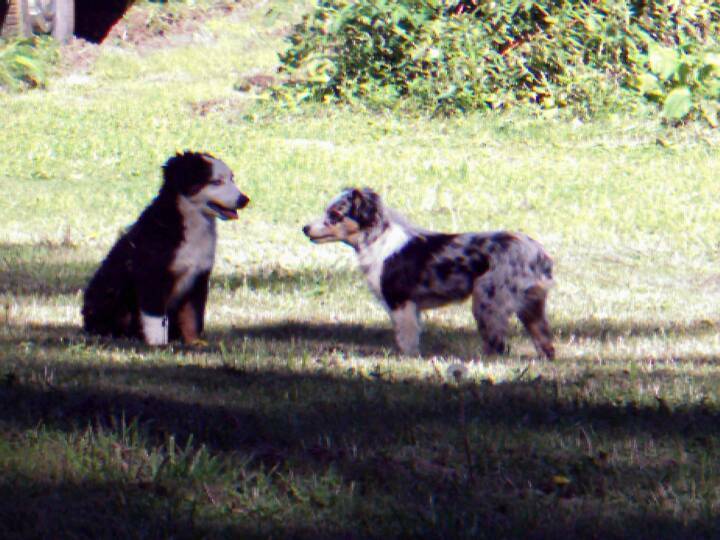 Although we strive to produce show quality pups, we will occasionally have pet quality pups for sale. We do insist upon spay/neuter of the pet quality pups prior to their going to their new homes. Please feel free to check out our Dams and Studs, making sure to check the puppy page for any little newcomers! We welcome you to Hilltop Aussies! Where big personalities come in small packages!